The One Nation leader says the WikiLeaks founder deserves a Trump pardon. Pauline Hanson wants Julian Assange to be pardoned. CANBERRA -- After publishing material during the U.S. presidential election negative to the Clinton campaign, and whether he likes it or not, WikiLeaks founder Julian Assange has strangely become a Trump poster boy. 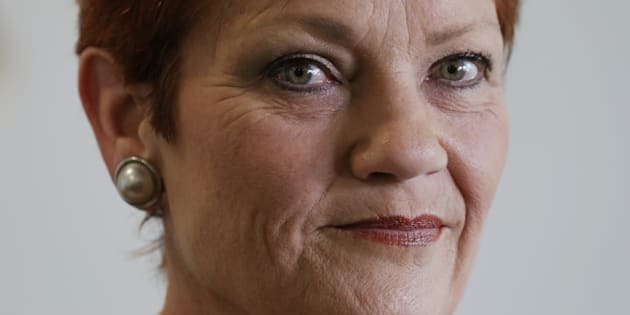 So much so, One Nation leader Pauline Hanson is attempting to secure the release of the "Australian hero" from the Ecuadorian embassy in London. Assange has been holed up in the London residence avoiding extradition to Sweden over sexual assault allegations since 2012, a long-running legal situation he fears will lead to him being sent to the U.S. over WikiLeaks' release of 500,000 secret military files on the wars in Afghanistan and Iraq. Hanson has described Assange as a "political prisoner" and in a Tweet headed "FREE JULIAN ASSANGE: It is time to bring him home" Hanson has announced her intention to petition the Australia government and the incoming Trump administration for the 45-year-old's immediate release. During the campaign, WikiLeaks published material critical to Clinton. ⌛️ #wikileaks Founder #JulianAssange ~ "The Real Victor is the U.S. Public"
Julian Assange said he did not have material related to the Trump campaign and felt under "enormous pressure" from the Clinton campaign, the Obama administration and from "liberals" anxious about the election result. "I hope that in light of his great service towards freedom and truth President Elect Donald Trump will consider granting a full presidential pardon," Hanson wrote. U.S authorities have not charged Assange with any crime, nor have Australian officials. Regardless, Hanson wants action. "I hope that the government of Australia has taken notice and will no longer continue to assist in the shameful imprisonment of an Australian hero," she said. Assange is expected to be questioned by Swedish authorities next week in the Ecuadorian embassy.